The year of 2017 saw a lot of political stir. Also, the year proved to be the year of sadness in terms of relationships as well. The year witnessed breakups of famous celebrities. Some are obvious but some came as a shock. Here are the top shocking celebrity breakups of 2017! Chriss Pratt and Anna Faris, the famous American actors married in 2009. It has been 8 years since their marriage. The couple called off their marriage after an announcement on social media, making it one of the most shocking celebrity breakups of 2017. Moreover, Chriss Pratt took it to their social media account and posted that they are “legally separating”. The list of top shocking celebrity breakups of 2017 is incomplete without Selena-Weeknd breakup. Selena Gomez and Weeknd were dating for 10 months after which they call it quit. The reason cited was not a mutual breakup but they became distant due to their work and hence, they called it off in October 2017. Josh Duhamel and Fergie are a well-known couple. But, unfortunately, they also make it to the saddest celebrity breakups of 2017, after 8 years of their marriage. The parted ways in September 2017. Although the news came as a shock but Josh shocked people saying that already broke up and are living apart. However, Fergie hinted that she did not want a divorce. It was Joshua who called for the partition. Rachel Bilson and Hayden Christensen called quit after 10 years of togetherness in September 2017. The reason cited is that they are altogether different. Bilson’s high school friend confirmed the news. Bilson is living in Los Angles while Christensen in Toronto. The couple which first met on the set of Fox TV pilot Heat Vision and Jack in 1999, called off after 17 years of marriage. The couple parted ways in May 2017. The pair announced the news of this mutual breakup in the news together, making it one of the top shocking celebrity breakups of 2017. Meek Mill and Nicki Minaj were together since 2009. Mill openly admitted that he loves Nicki Minaj in his ‘Miss Me’ lyrics. But they also made it to the list of most shocking and famous celebrity breakups 2017. However, Meek Mill describes his breakup with Nicki Minaj as a loss. Robert Pattinson and FKA Twigs were engaged in 2015. They parted their ways in October 2017. A source cited the time and distance made them split apart. At number 8 in the list of top shocking celebrity breakups of 2017 is the Jennifer-Darren breakup. Jennifer Lawrence and Darren Aronofsky called it quit in November 2017. The news came after just 1 year of dating. The couple cited ‘huge age gap’ as a reason for quitting. 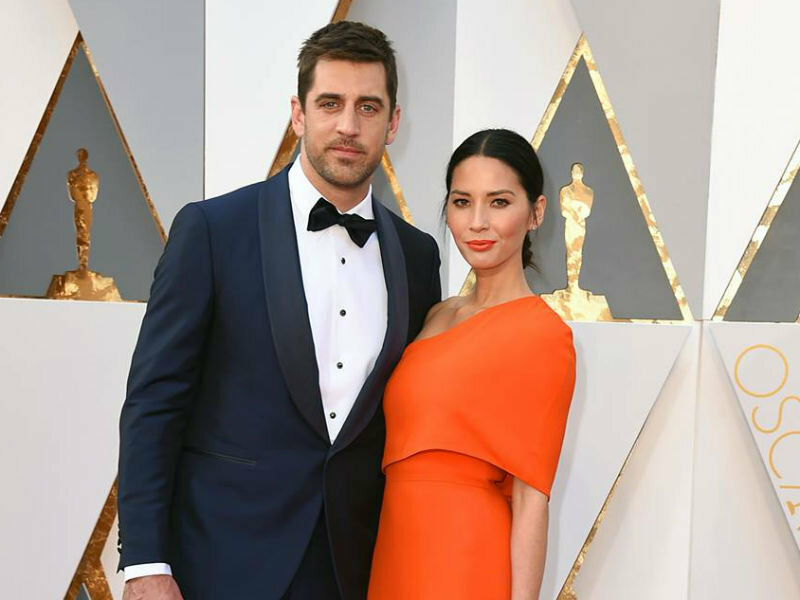 Aaron Rodgers and Olivia Munn called it quit after 3 years of togetherness. The couple parted ways in April. However, Rodgers has blamed constant attention on media as a reason for their split. Leonardo Di Caprio and Nina Adgal’s split in May 2017 after dating for one year were one of the famous celebrity breakups of 2017. The reason for their split is that Leonardo was not ready to settle down whereas Nina wants to settle down. These were some of the top shocking celebrity breakups of 2017. Let us hope 2018 will bring a new hope that will make 2018 as a year of togetherness. An old soul, affectionate by heart, classy by mind and artistic by actions. Writer at TNG.